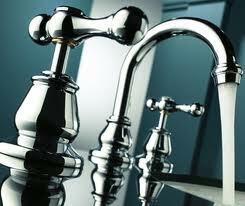 All our tap repair expert plumbers have seen every type of leaking tap problem there is. The chances are that no matter how bad your leaking tap or shower problem is we have fixed something worse in the past – and FAST. 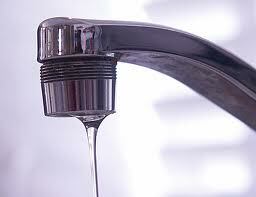 Leaking taps are not only annoying but they can cost you a small fortune in water bills if you don’t fix it fast. Mucking around trying to fix your leaking taps yourself can be a messy, uncomfortable, FRUSTRATING job that you’ll probably wish you never tried. Leaking taps are often easy and inexpensive to repair, but repairs are essential as they eliminate terrible noises and save water. The cost of repairs is more than justified by the money saved by avoiding water and energy loss, even though they may be time consuming and extensive. and reassembling the tap improperly may create new, worse problems. The money saved on the water bill will more than pay for the cost of repairing the tap, and so it's always a smart decision to hire a plumber to fix the leaky tap as it could also be the result of years of wear and tear or neglect. Taps have a life span like anything else but with regular servicing (every 3 years) your taps will last much longer and save you money in the long run. If however your faulty taps or leaky taps do require replacement; our plumbers carry a range of quality tap ware in their vehicles. If you would rather supply your own then we are happy to install them and still guarantee our workmanship. No matter if you have kitchen taps leaking, shower taps dripping, or just some stiff taps that are hard to turn or any tap problems we can fix it for you. 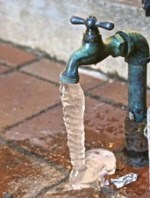 So leave it to the leaking tap repair experts. Just Contact us with an Online enquiry or call us now on Brisbane 1300 785 989 or Gold Coast 5536 8043 and we’ll have your leaking tap problem fixed fast no matter where you are. 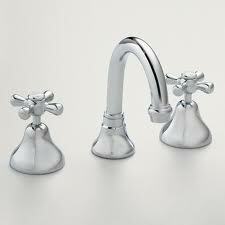 We provide numerous ranges of tapware for kitchens, bathrooms and laundries. Some of the brands of tapware we can supply, install and repair include Caroma, Ram, Dorf, Grohe, Hansa, Ideal Standard, Posh, Porcher, Novelli, Raymor, Con-Serv, Enware and many others. Our service vehicles are fully equipped to carry out all kind of leaking taps, tap repairs, tap replacements, new sink flickmixer taps, basin, shower, bath and laundry flickmixer taps repairs and even hot water repairs to all major brand Hot Water Systems. If you need our plumbing services Brisbane or our plumbing services Gold Coast, want to install an insinkerator or garbage disposal unit, clear a blocked drain, repair a leaking tap, fix a burst water pipe, replace your faulty hot water element, have a backflow valve tested, do some gas fitting repairs, fit a new hot water circulating pump, supply and fit a hot water thermostat, fit a newhot water anode, fix a leaking toilet, install a new boiling water unit , we guarantee our friendly and courteous plumbing staff are committed to fixing all your plumbing, drainage, gas fitting and hot water problems first time every time.